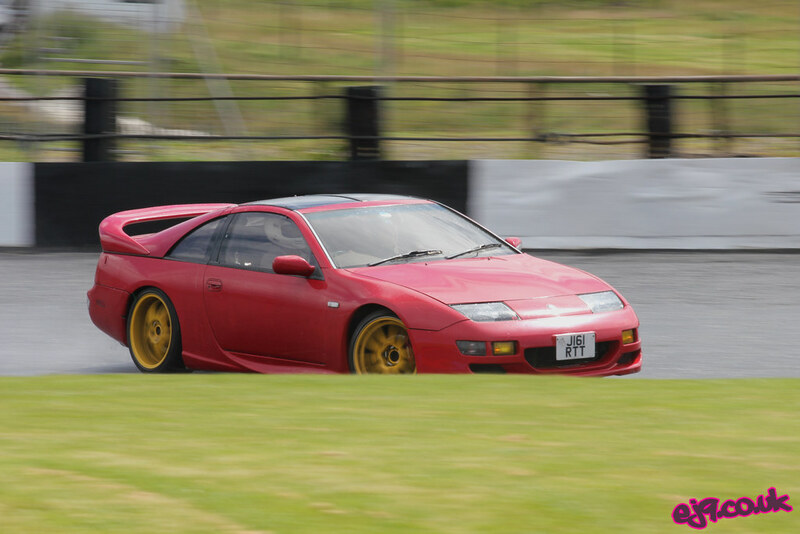 I managed to make the event at the end of July and, despite the day starting out a bit cold and wet, it brightened up throughout the afternoon making it a nice day to take some pictures. 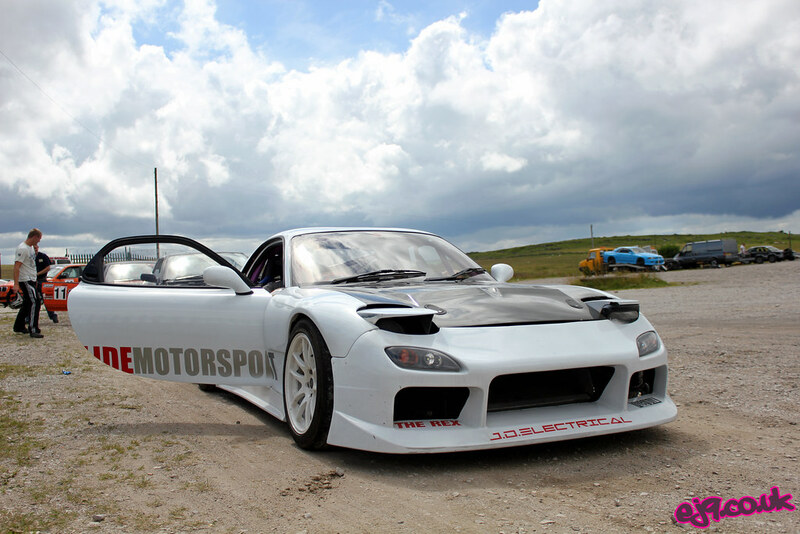 This Slide Motorsport stickered FD3S looked the part but more importantly sounded absolutely mental! 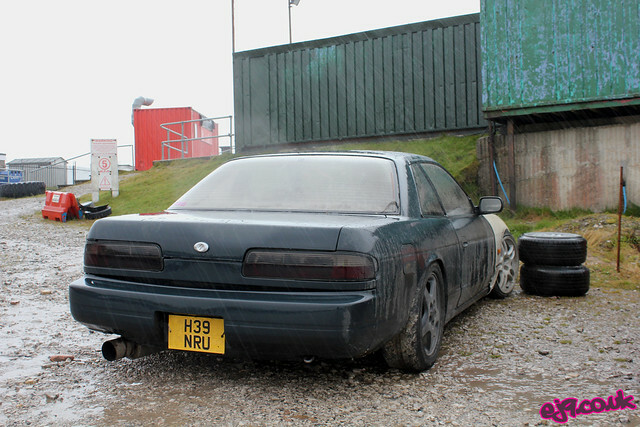 I can only assume the 13B engine had been ported. 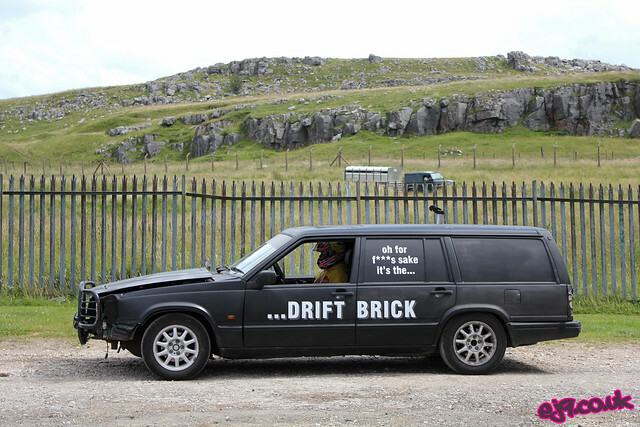 You can never go wrong with drifting a big old Volvo. This PS13 Onevia looked pretty cool at a glance, but then I noticed it was left-hand drive. 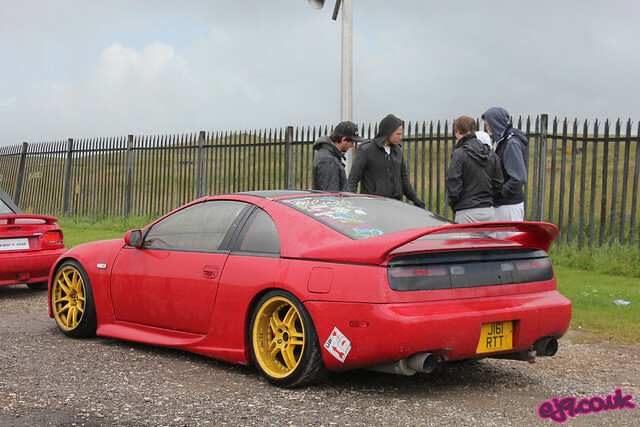 From what I understand the driver is a US Marine over here in the UK on service…and he brought the car with him! Sam had a little accident in his RB25 powered S14…although with Sam being the genius he is it looked as good as new again within fifteen minutes. 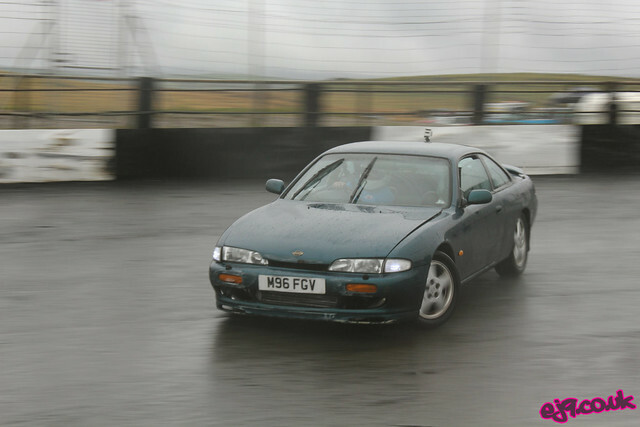 Alex was drifting his Z32 as his S14 was reserved to BDC usage only at this time of year. 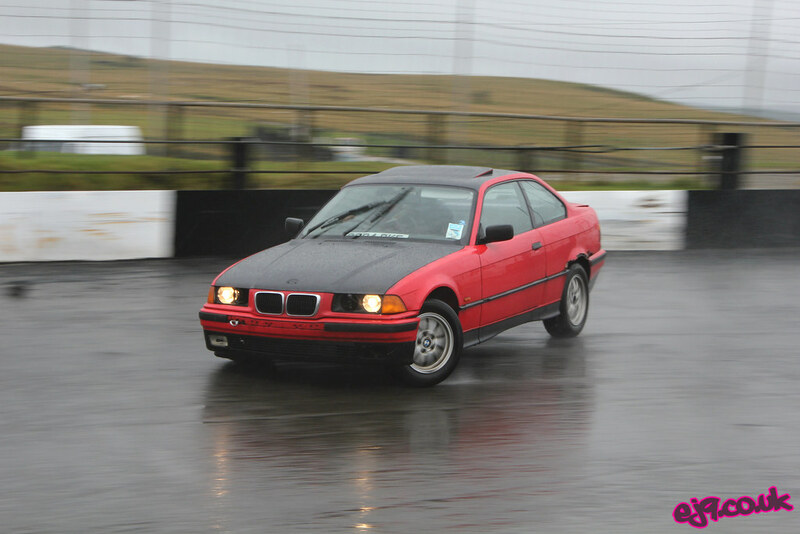 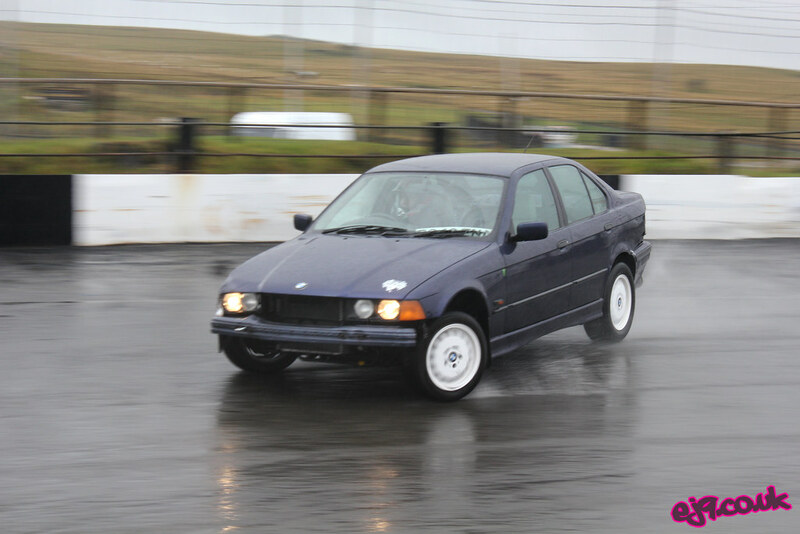 This E36 was running an outrageous amount of front camber but it must have been working as he had no problem throwing it around the Ring of Steel. 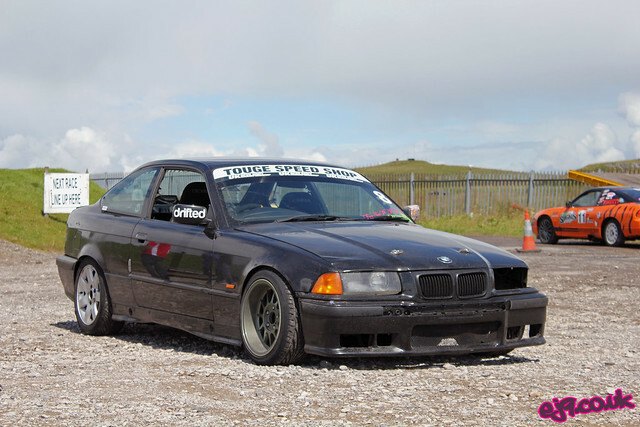 I loved the front fitment on this E36 as well. Jonny drove up in his S13 but, despite endless bullying and peer pressure, didn’t take it out on track. To be honest, I don’t blame him after what happened to his last S13 at Buxton. 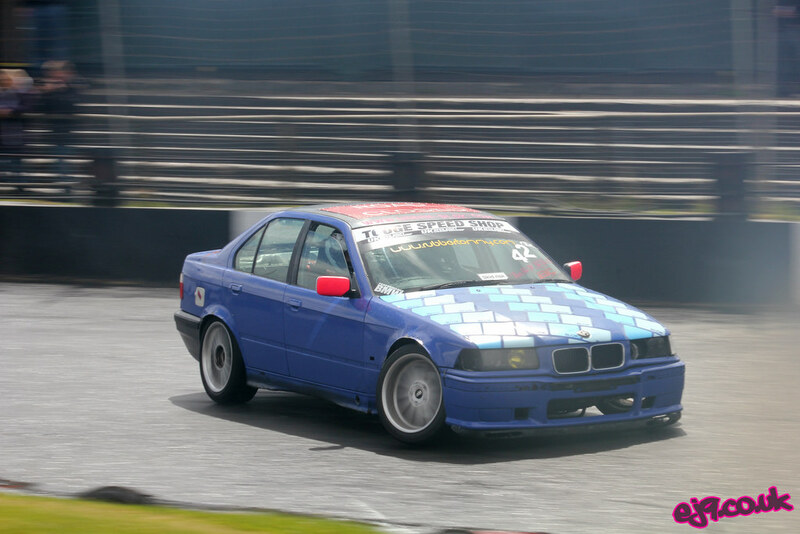 Speaking from personal experience, hitting the steel wall isn’t fun. 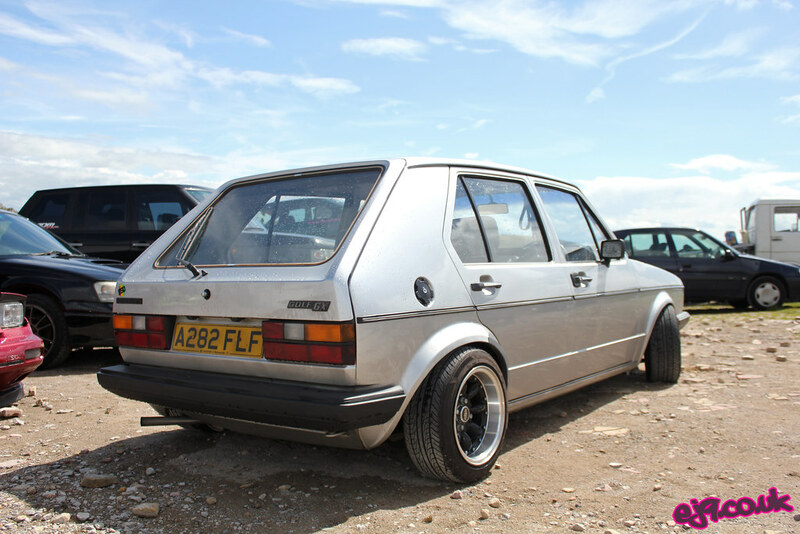 Ryan rocked up in his Mk1 Golf as well. This E36 was treated to some major hooliganism which no surprise really when you realise it was being driven by Adam and Matt from Slide Motorsport. It was later seen doing a burnout on the back of Matt’s truck! 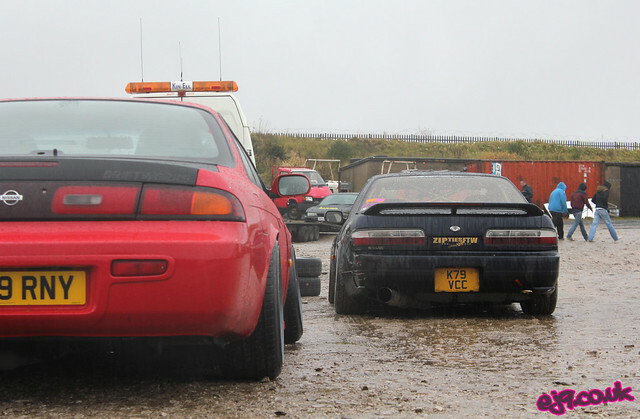 Fast forward to the weekend just gone and it was time for the last Drift One Buxton event of the year. 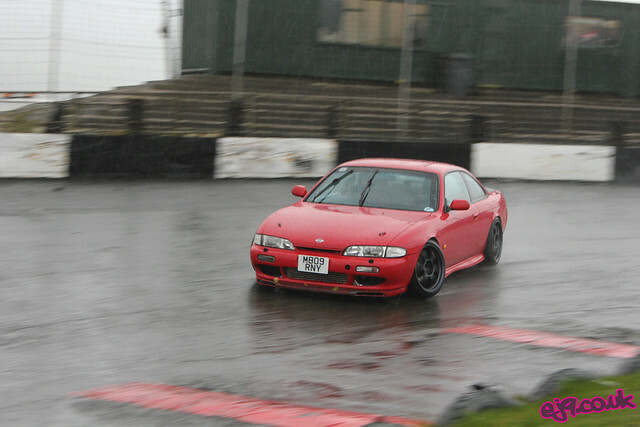 Unfortunately with this being October rather than July the weather was dire from the off and taking photos out on track was a cold, wet and depressing experience. 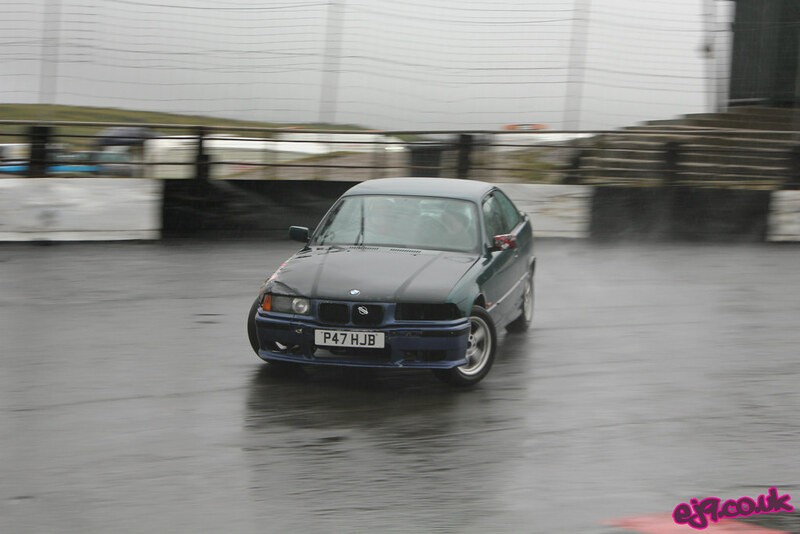 Nevertheless, I soldiered on, albeit with the wrong lens as I only made the decision to go less than an hour before things kicked off and was in a bit of a hurry. 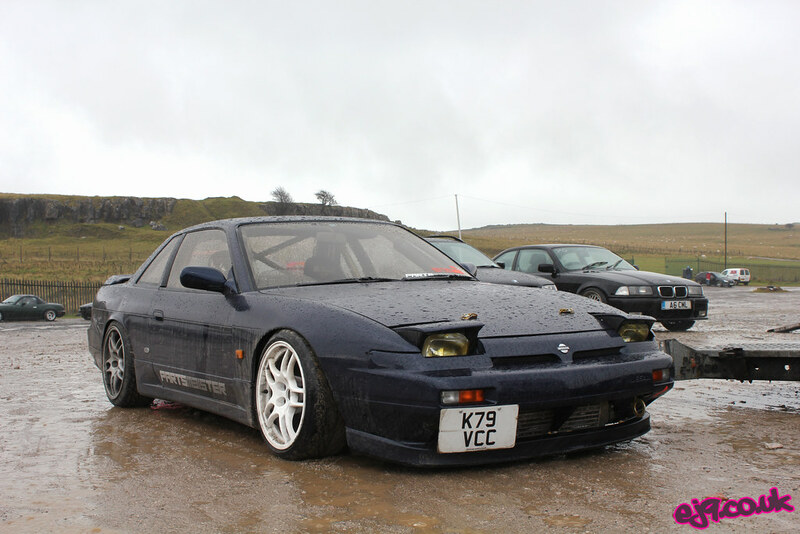 Gutty’s PS13 Onevia is almsot certainly indestructible. Since knowing Gutty I’ve seen him crash it into the Buxton wall, be rear-ended by a Range Rover and then a few months ago be crashed into on the Buxton ring after an error from the gate marshall meant that another car was released into his path. 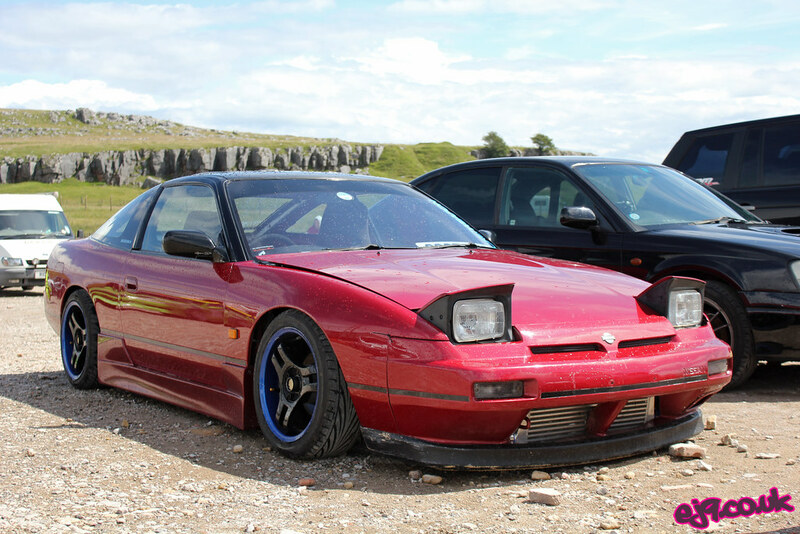 I was especially gutted for him as he’d literally just finished giving it a very thorough respray in the weeks before the event, which made a change to the rather pikey paint jobs it’s had over the years! 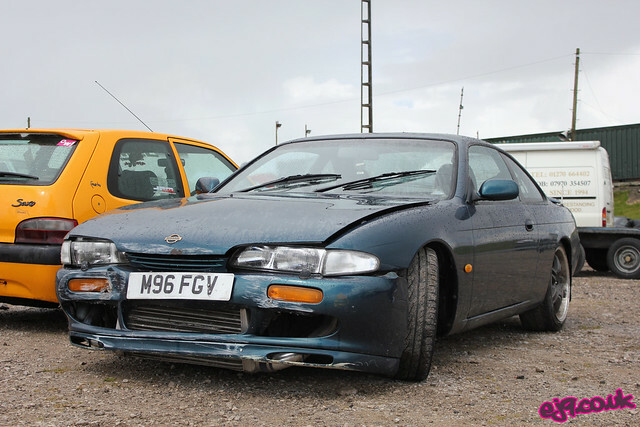 Every time he’s managed to repair it back to a standard where you’d never realise anything had happened, and I’m sure it’ll be no different this time. 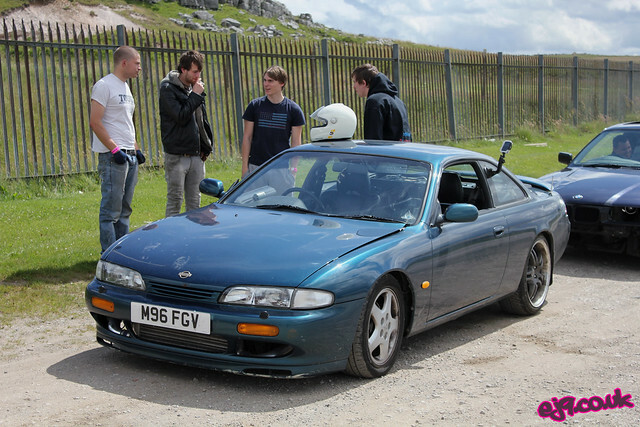 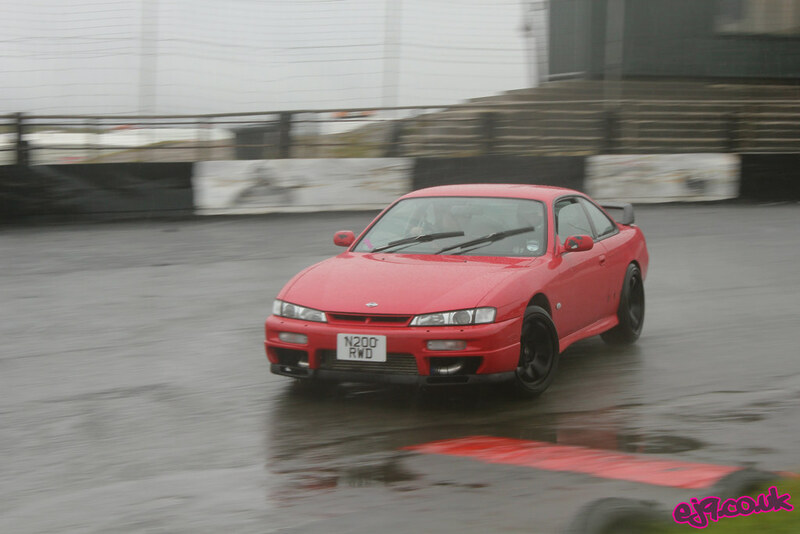 Luke’s new S14a was being put through its paces just days after buying it. 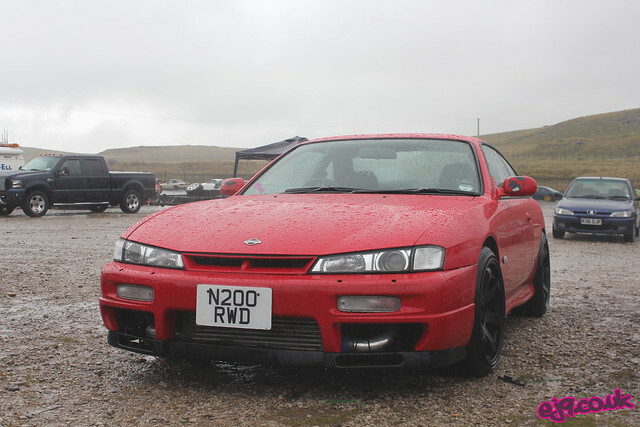 While it may not have had coilovers or any other drift focused modifications it does have a very purposeful 360bhp thanks to a GT2871R and a host of other engine modifications. 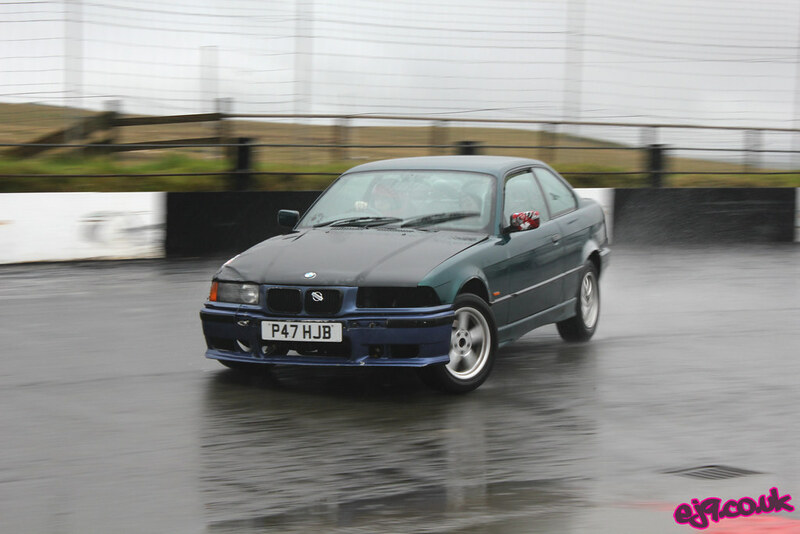 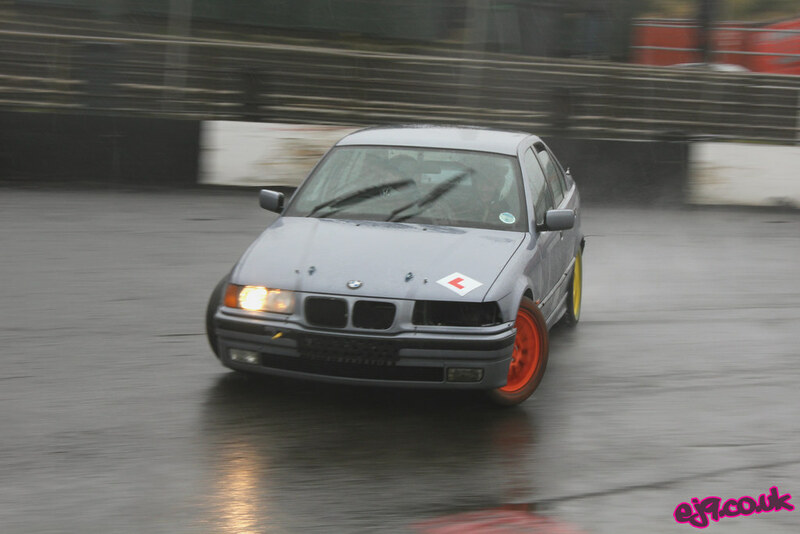 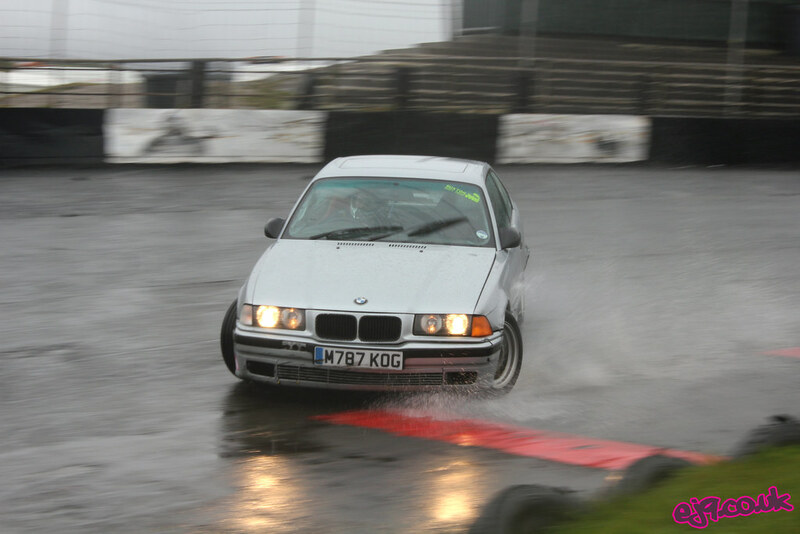 Jake’s E36 certainly had that unmistakeable used and abused Buxton style. 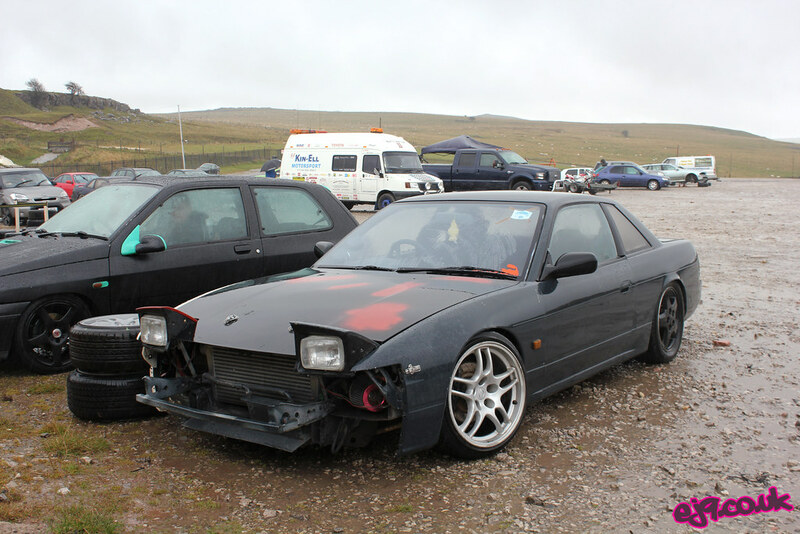 I’d seen a picture of this Zenki S14 on the Driftworks forum a few days prior but I wasn’t expecting to see it in person. 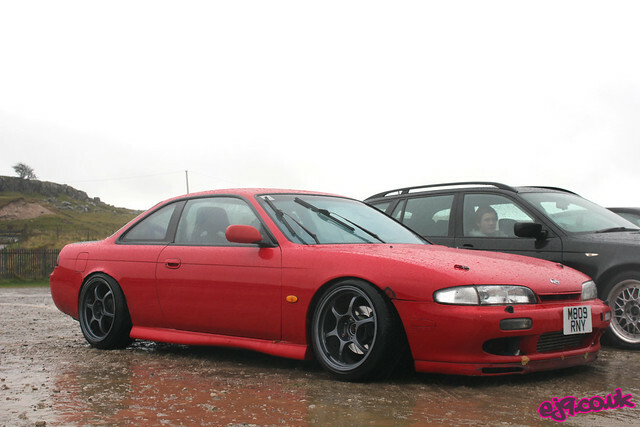 Advan RGs are an unusual choice on a slammed S14 but they definitely look the part in this case. 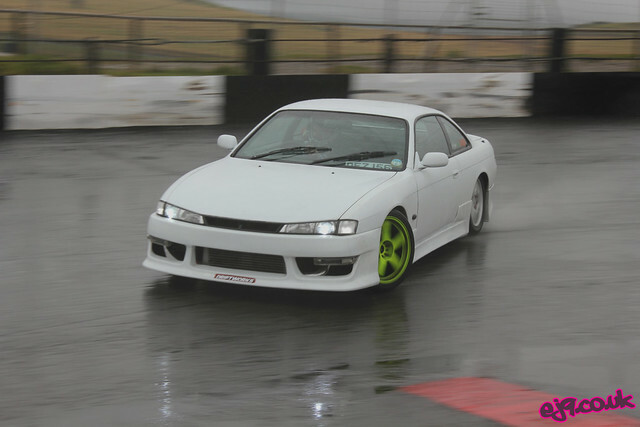 I’ll post up some more pictures of this car in another post. 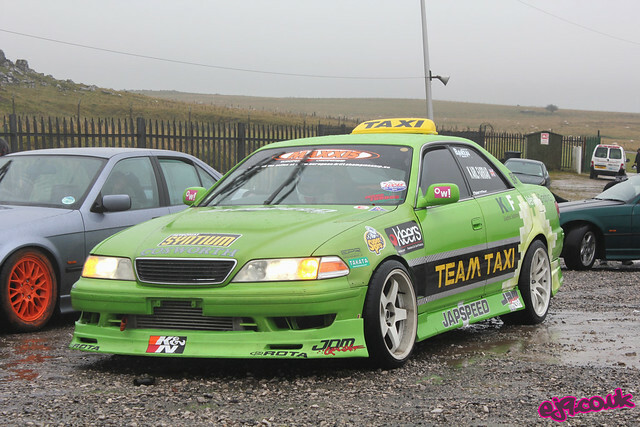 Karl was going big in the JDM Garage North JZX100 Team Taxi. 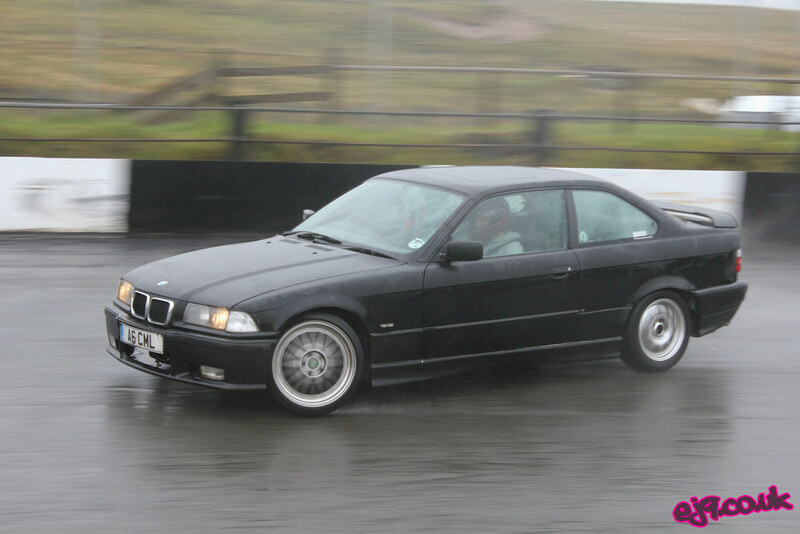 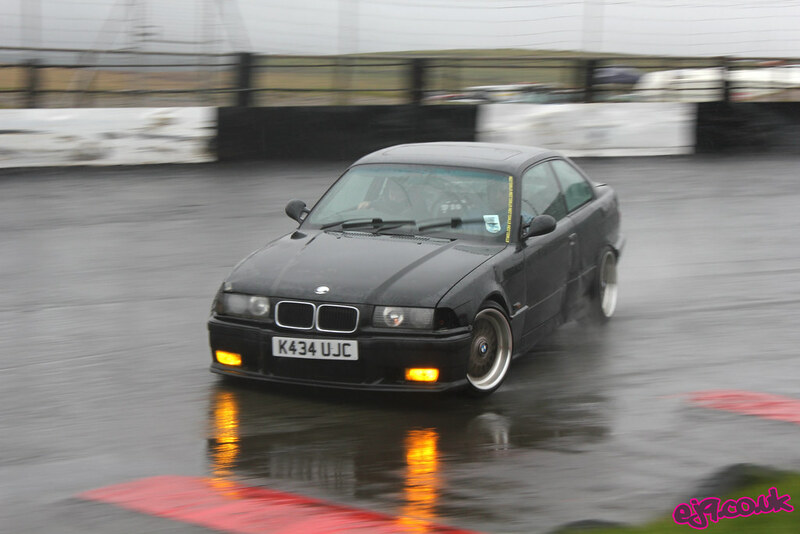 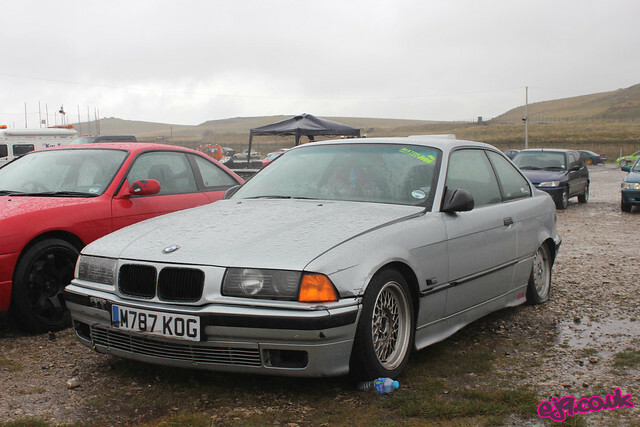 I loved this E36, it really reminded me of my old one. 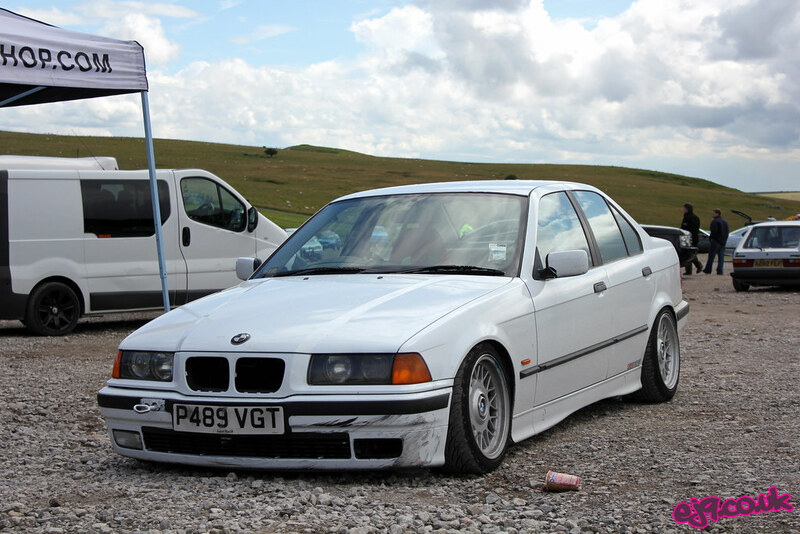 I’m still gutted that that car met its end after just a few weeks in my ownership. 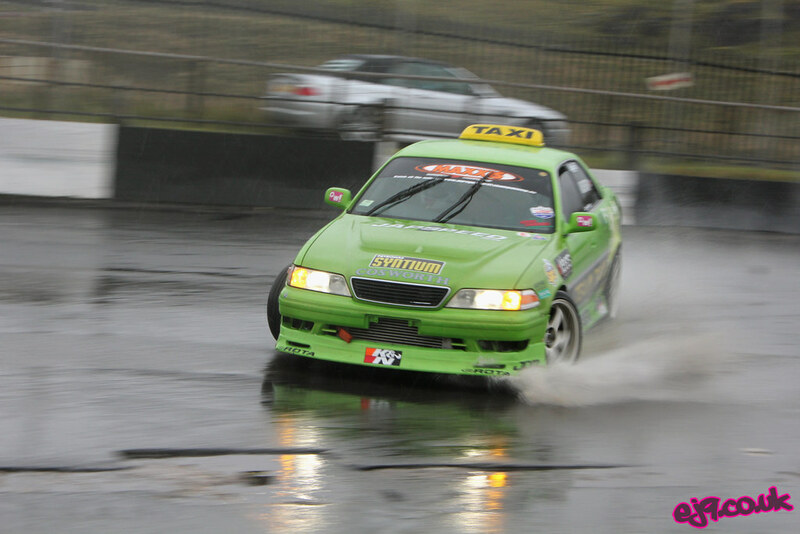 Sam entered the afternoon’s competition and ended up winning the whole thing – good times! 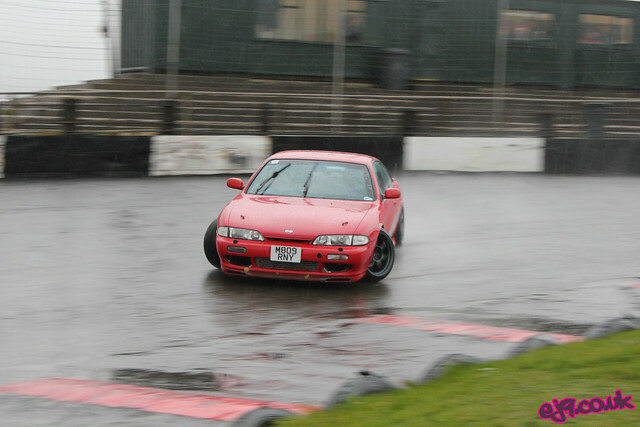 Luke’s clutch started slipping later on in the afternoon, even with the track being wet. 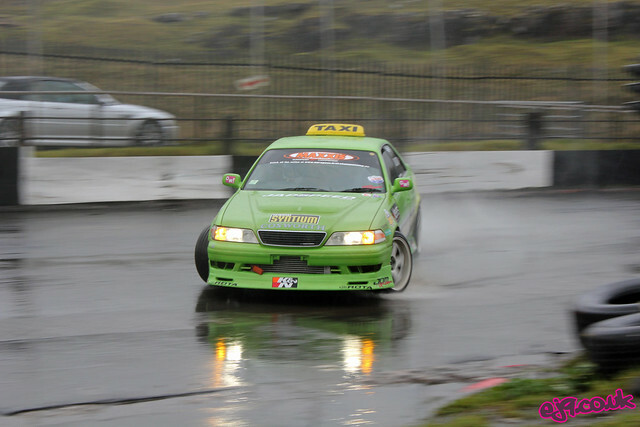 With big power comes big responsibilities! 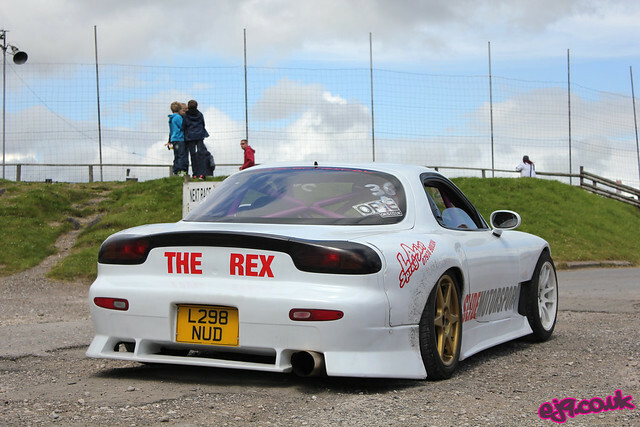 And there we have it, another year of Buxton fun complete until next year! 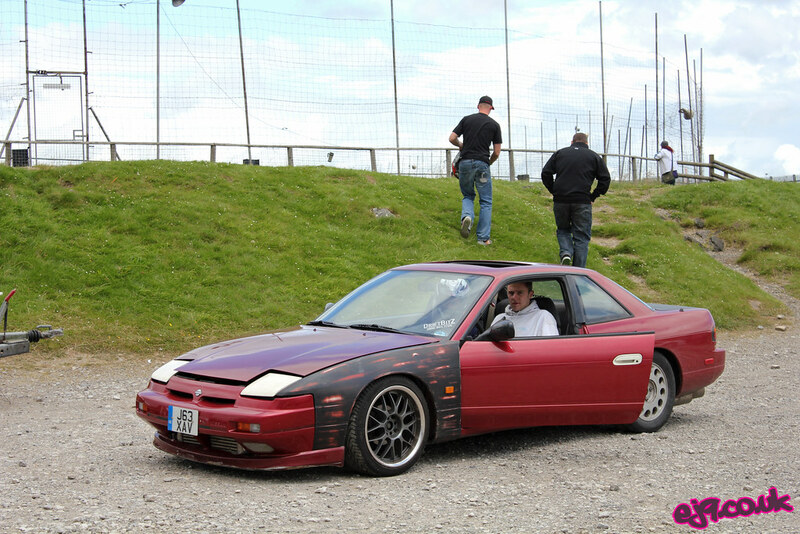 Maybe by then I’ll have conquered my fear of the wall and will bring myself to take the S13 out…we’ll see!